This can be anything you like, it should be 5 characters or longer. Please enter your chosen password again here. Do not use your real name or e-mail address! This name cannot be changed after it is chosen. Click the button below to set up your account username. View the brand new Stronghold Kingdoms trailer in dazzling HD. 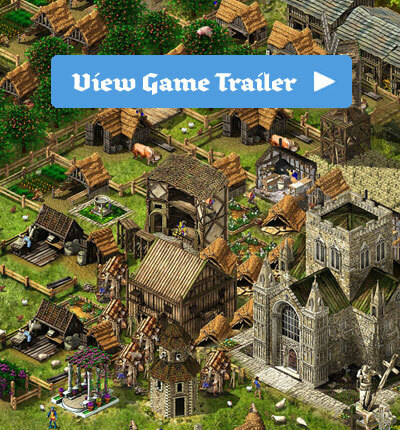 See what castle life was like in a living, breathing medieval world. Construct great castles to last the test of time. Layout your castle carefully to withstand even the greatest of armies. Site your buildings carefully for maximum efficiency. Watch the village come to life and grow over days and weeks. Become the Steward, or sheriff, or King! Choose how and when to play vital strategy cards. Research new technologies to gain a vital edge.